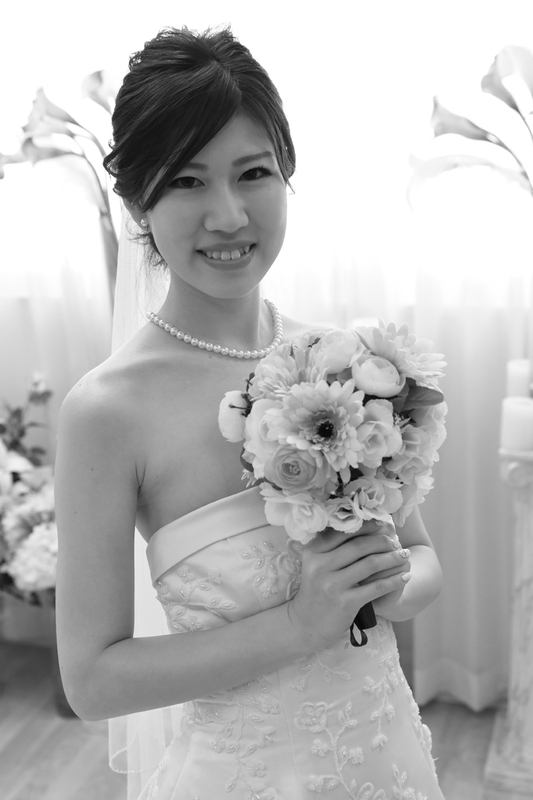 Lovely Japanese Bride in Black & White Hawaii. Honolulu honeymoon photos at the wedding chapel on Oahu. What color is the Bride's bouquet?